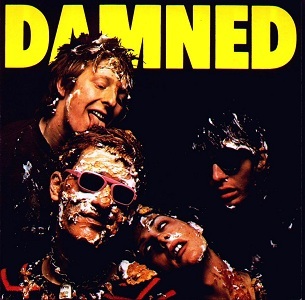 The Damned are celebrating their 40th anniversary this year with three previously announced (and sold out) U.S. shows and U.K. tour. Today they announced the 40th anniversary reissue of debut single "New Rose" on limited edition picture disc November 4th, plus the band -- Dave Vanian, Captain Sensible, Monty Oxymoron, Pinch, and Stu West --are heading back in the studio this winter to record a brand new album, their first set of songs since 2008. The album will be released through Pledge Music and is available to pre-order here. The Damned will continue to celebrate their 40th anniversary in 2017 -- a massive North American 40th anniversary tour kicks off in the spring. Tickets for the April 29th show at Saint Andrew's Hall go on sale October 28th at 10am; the first pre-sale (of many) kicks off October 25th. View the full tour itinerary below. Apr 26 –- Indianapolis, IN @ Deluxe at Old National Ctr. Catch up with the Damned on their website and Facebook.